It’s officially Spring, and with it comes the promise of warmer weather. If you live in sunny Southern California like me, it’s 75 degrees and sunny most days all year (boo hoo, right?! ), but spring and summer bring more intense ultraviolet (UV) rays. 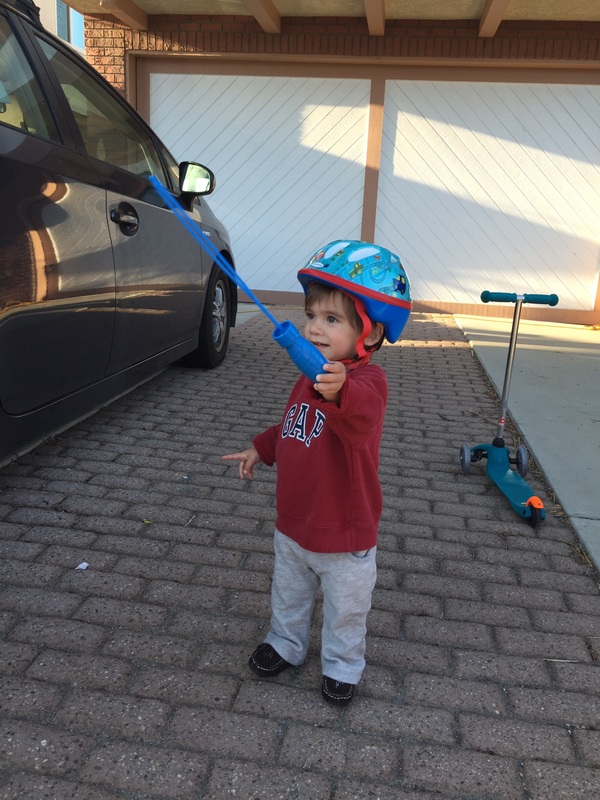 This is an ideal time to review outdoor safety tips with our kids – and to practice what we preach! I love seeing the kids on my block zooming around on bikes, scooters, and skateboards while we parents keep watch with a margarita nearby. But I’ve noticed that few parents consistently apply sunscreen on their kids. I do think that we adults need to brush up on sun protective guidelines for our families, answer our kids’ questions, and set an example by not only putting the rules into practice and consistently enforcing them, but also by modeling the behaviors. I’m really disappointed that I didn’t take better care of my skin for the first 27 years of my life. Unfortunately, substantial damage has been done, and I’m seeing it more and more as I grow wiser. Unprotected sun exposure and burns from our youth generally present post-adolescence in the form of wrinkles, uneven skin tone, and skin cancer. That doesn’t mean it’s too late to prevent further damage. And now that I’m informed about sun safety, I’m looking forward to educating my son. I hope Liam will get to the point that he feels naked without sunscreen; it’ll be as natural for him as brushing his teeth in the morning. I want him to think about his skin every time he’s in the sun. As kids get older, we parents strongly encourage sports and outdoor play, but we often don’t think about sun protection. I hear a lot of “oh yeah, I keep forgetting about sunscreen” from other moms at outdoor play groups. I happily share our sunscreen, typically California Baby, as I cart it everywhere with us. Our kids’ amazing, youthful skin is so vulnerable, and as I would explain to patients, the damage that’s done in the early years shows up later in the form of skin cancer, pre-cancer, uneven skin tone, large sun spots, wrinkles, freckles, a leathery and worn appearance, and I could go on… It’s up to us to protect our kids’ beautiful skin! I reach for broad-spectrum (protects from most UVA and UVB) sunscreens with SPF 30, which blocks about 97% of the sun’s UV radiation. Patients frequently asked me about what the SPF numbers mean, and whether, for example, SPF 100 trumps SPF 30. 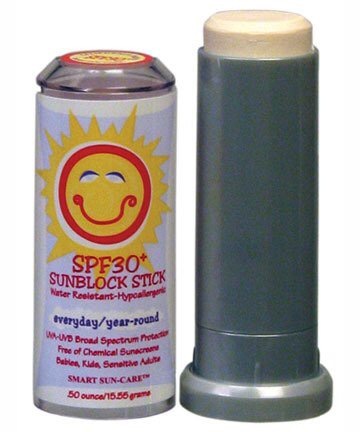 Bottom line, SPF 30 blocks most of the UV, and higher SPFs really make a marginal difference. But sure, if you want to use SPF 30+, there is no downside. The key is that we apply and re-apply the sunscreen regularly, and apply an appropriate amount. I would ask every new patient whether he/she uses sunscreen, and how often they reapply. Believe it or not, many assumed it lasts all day. I apply sunscreen to myself and my son daily, even when we’re just running to the store. Liam’s so used to it, the process barely phases him, especially when I use a sunscreen stick as oppposed to lotion. Daily application protects us from a few minutes of sun, here and there, as we run errands. to apply sunscreen – no matter the strength of SPF – at least 20 minutes before going outside, so that it has a chance to absorb into the skin. If Liam and I are doing routine activities with limited sweating or water exposure, I reapply about every 90 minutes. If we’re playing actively and sweating or swimming, I reapply a water-resistant sunscreen at least every hour, more frequently with an SPF less than 80, and each time we dry off. Patients often asked about UV coming through car windows. UVA can penetrate, and UVA is responsible for tanning, photo-damage and aging, and skin cancer. While you won’t burn from UVB while shielded by car windows, you’re still at risk. And of course, open windows or roofs will expose skin to UVB and thus burning.